This unit has everything you need in a spacious condo and is being sold Turn-Key for your convenience. 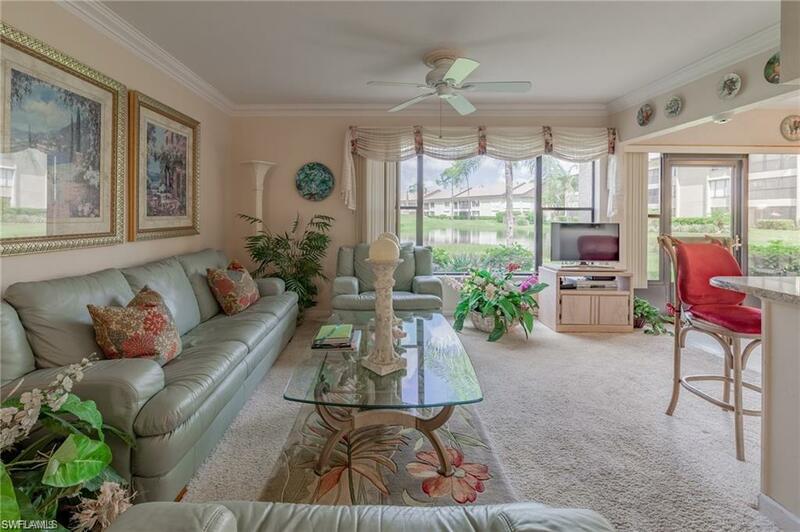 Condo overlooks the lake and the 9th Hole on the top-notch Hideaway Golf Course. 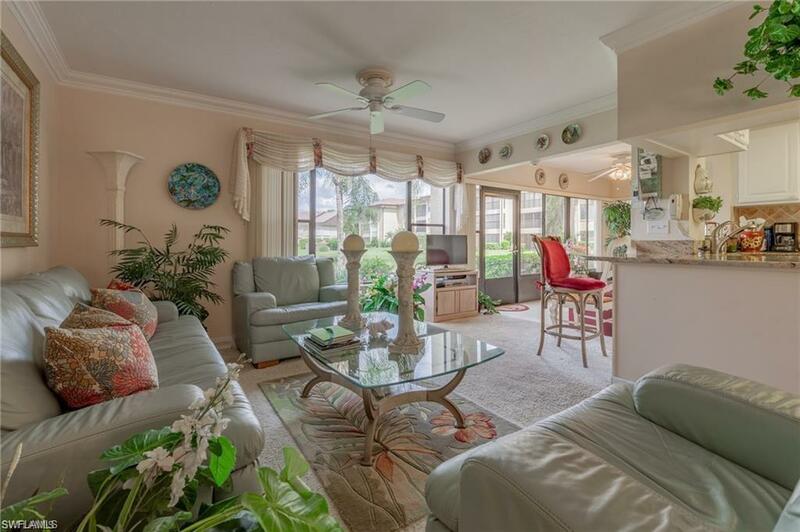 This roomy and bright 3 bedroom unit has many upgrade such as an updated kitchen with beautiful granite, Florida Room to enjoy the views from the back, brand new A/C unit, Guest bathroom has a top-notch walk in tub. 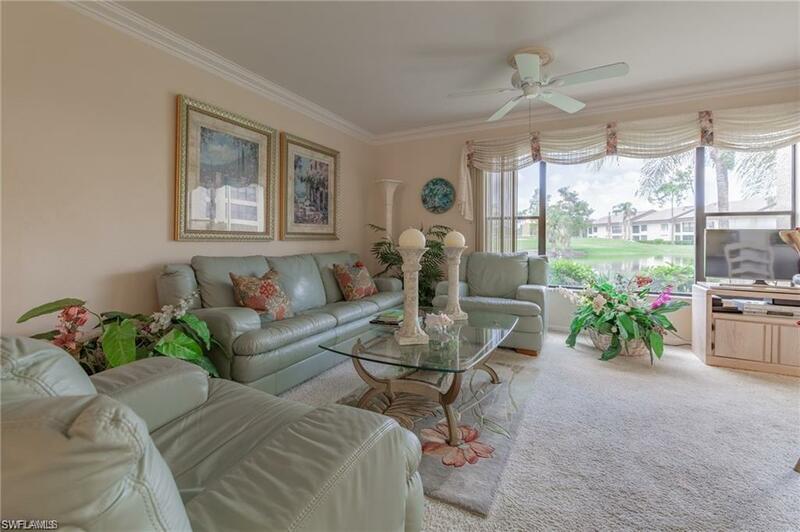 This is located in the beautiful security guard gated Hideaway Country Club that also has a new Clubhouse which offers a great restaurant, pro-shop, Gathering Rooms, Fitness Center and har-tru tennis courts and is located in a nice, quiet hidden area centrally located in Fort Myers. GOLF MEMBERSHIP IS OPTIONAL at a great rate of approx. $1269 a year for a single membership.! 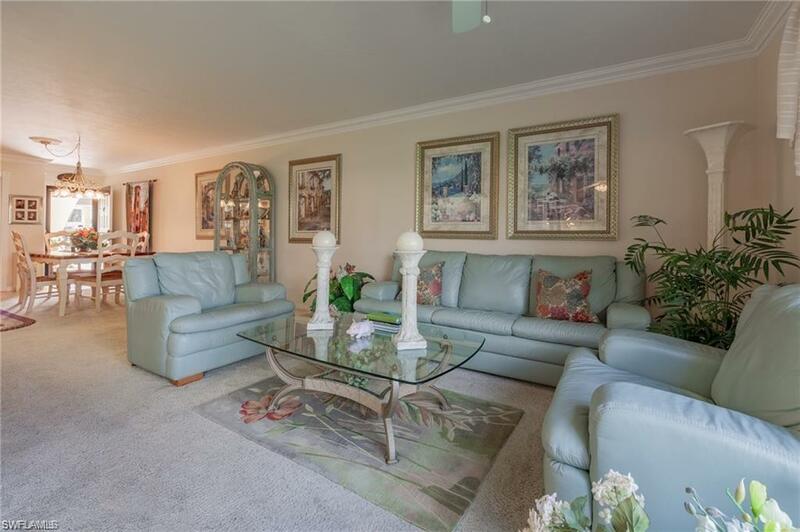 Unit comes with golf cart parking and a storage closet close to your unit. Don't let this unit pass you by!! Listing courtesy of Alexis Hansen of Re/Max Destination Realty.